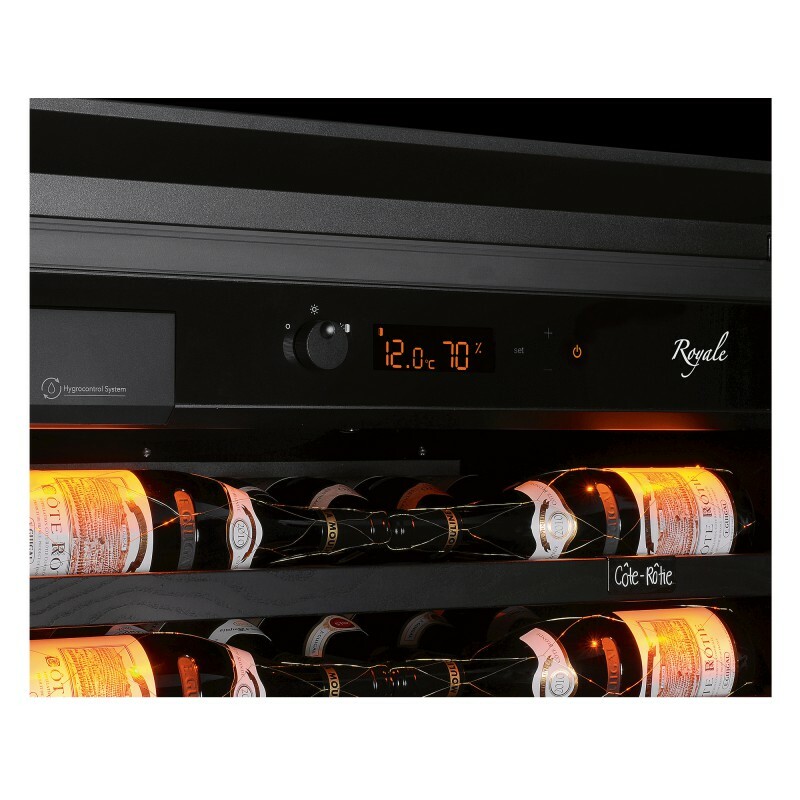 Royale, advanced technology for optimal wine maturing. 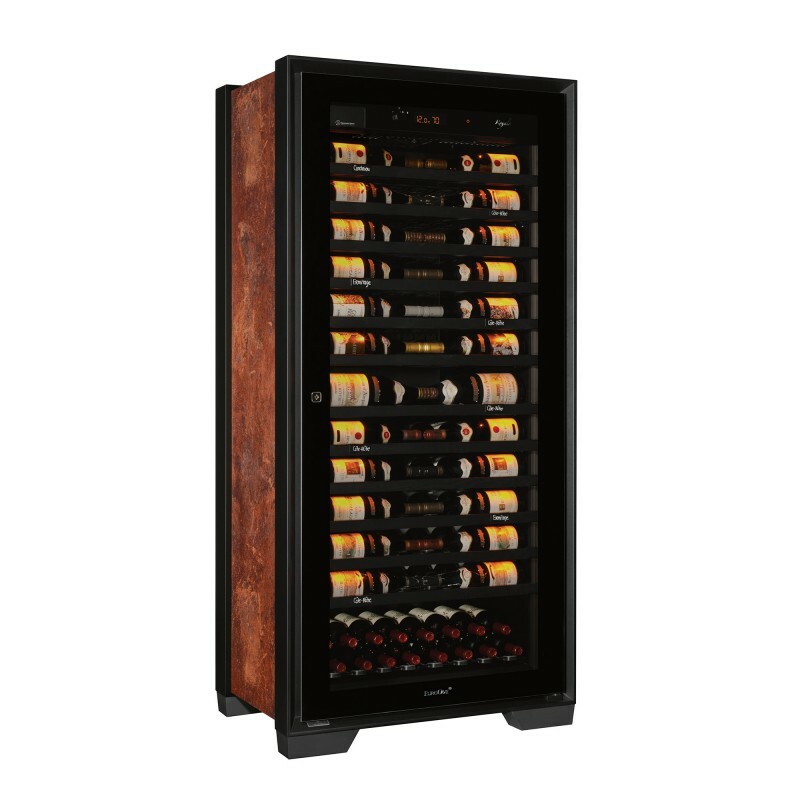 Single function: this wine maturing cabinet recreates the exact conditions found in a natural cellar, by meeting the criteria essential for storing wine. 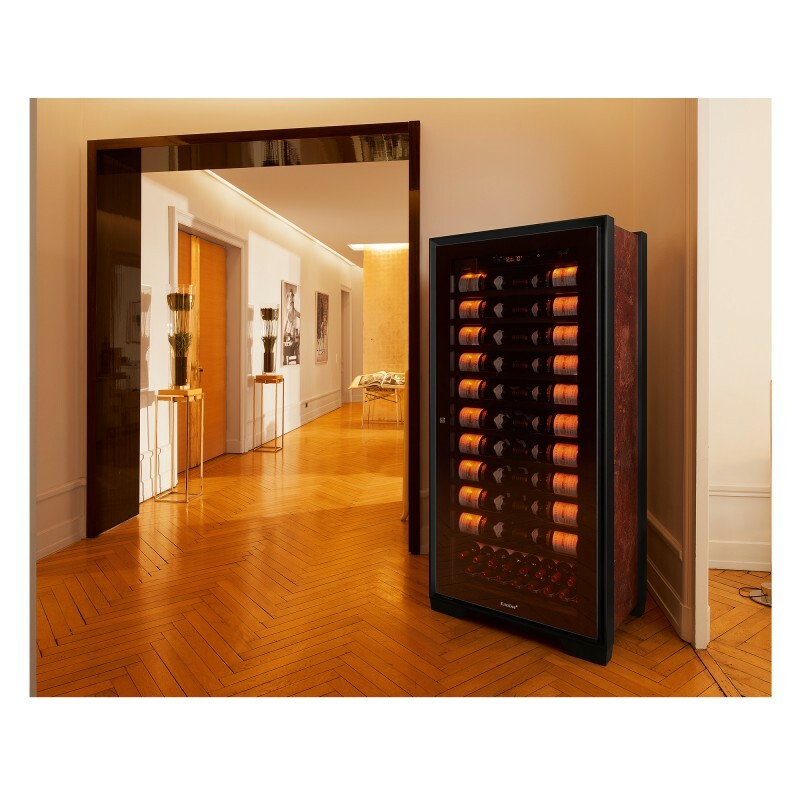 To provide optimal conditions for your best wines throughout their life time, we have created the best wine cabinet in the world. And so, we created Royale. 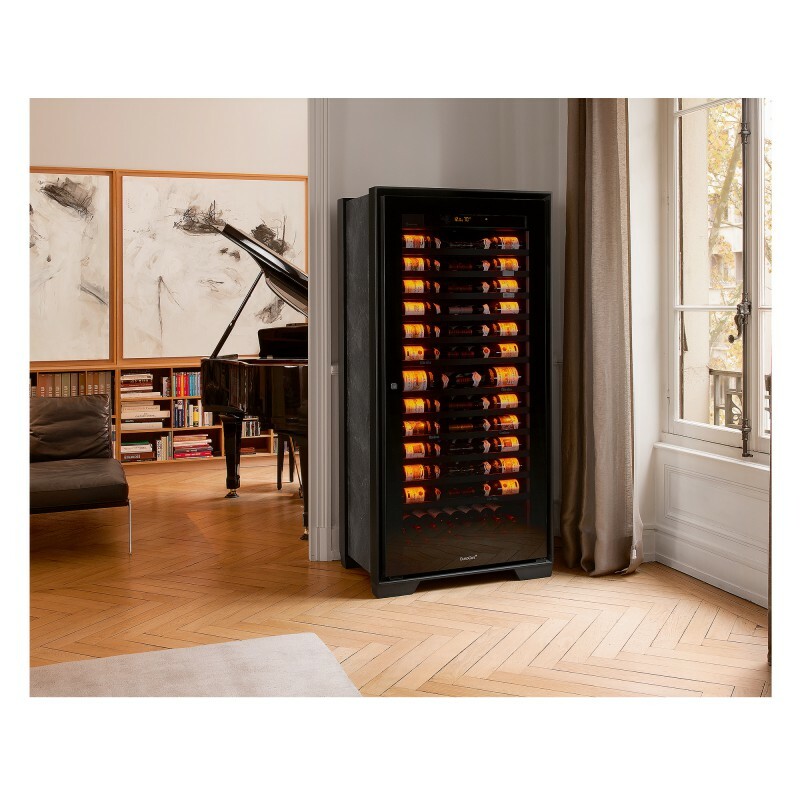 Now it’s up to you to bring your Petrus, Romanée Conti, Clos Vougeot, Hermitage, Château Margaux and other treasured wines to their prime and pass on your love of fine wines to future generations. Award for high design quality: Royale received 2018 Red Dot Design Award. A unique wine maturing cabinet. 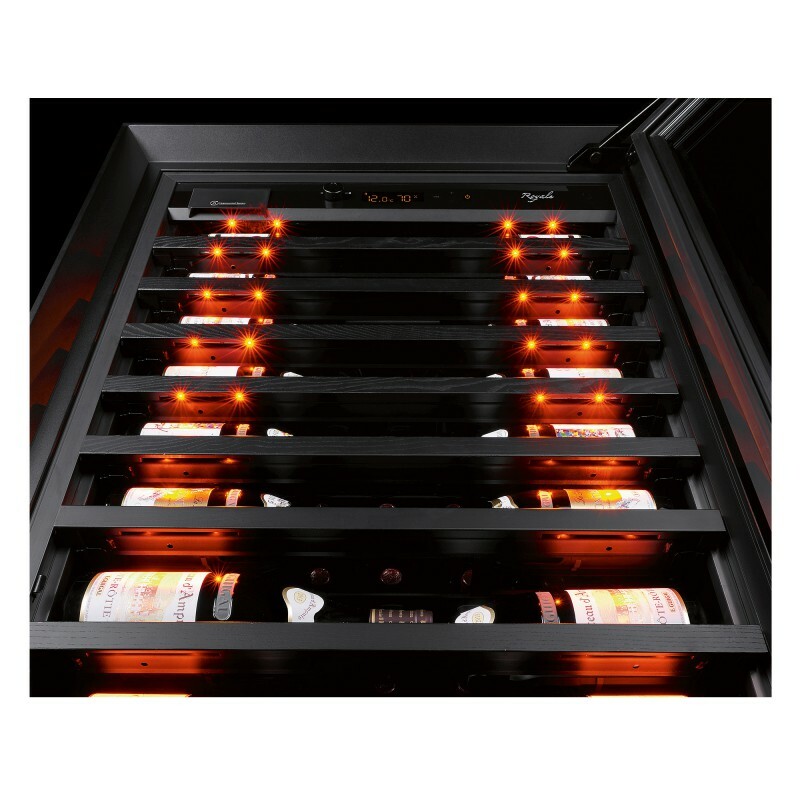 Autonomous operation: the temperature is permanently maintained at 12°C and cannot be set by the user. 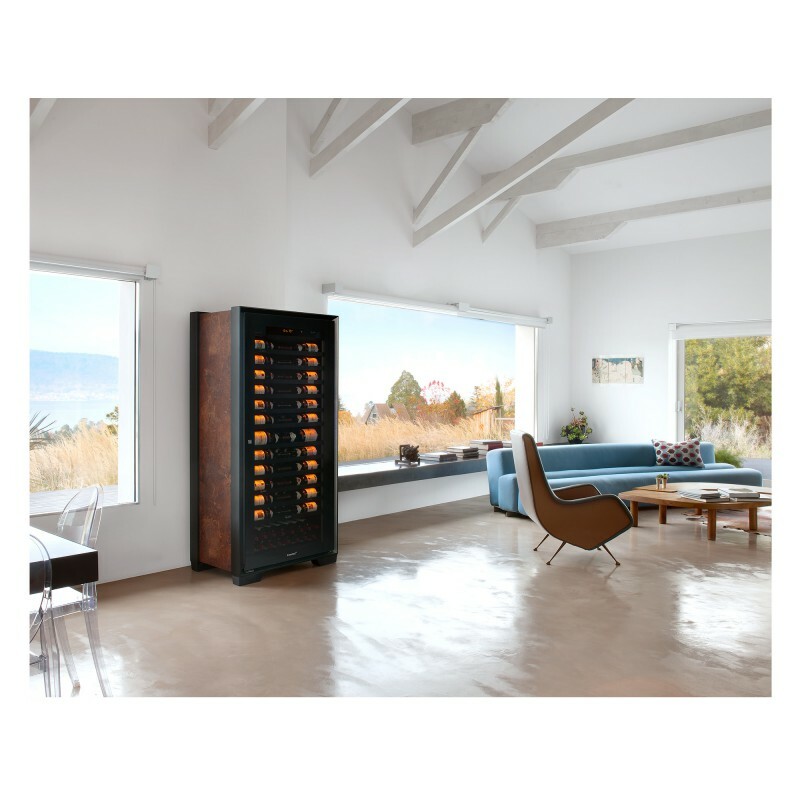 Humidity is also controlled autonomously and guaranteed at 70% (patented system - Hygrocontrol system). 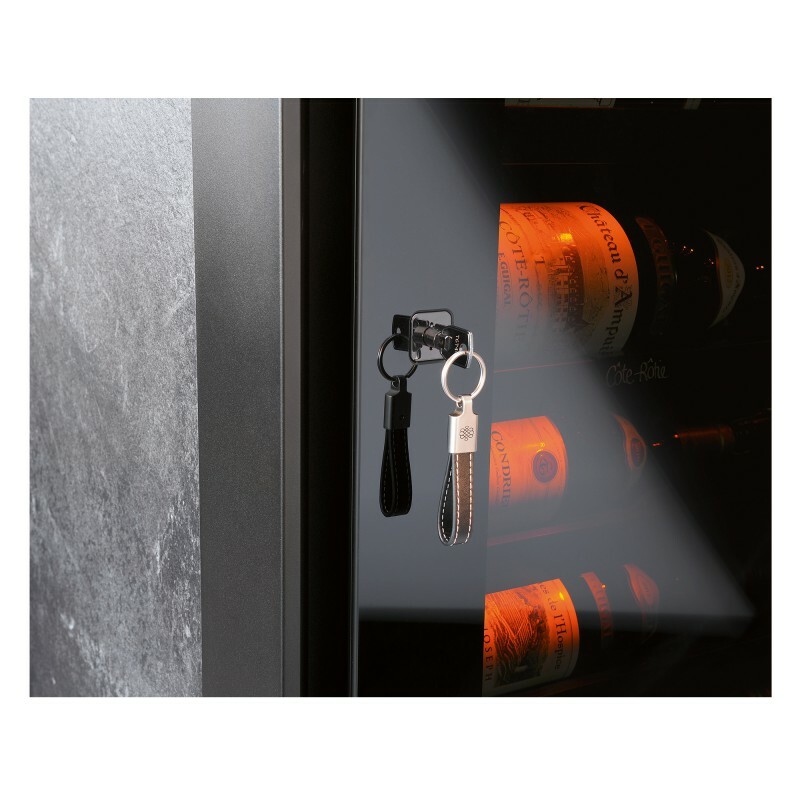 Double protection for bottles, thanks to the safety thermostat. 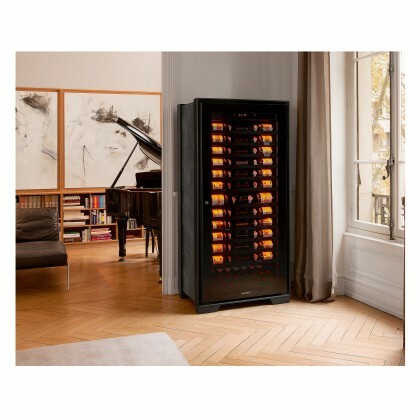 Optimised air quality thanks to the charcoal filter specially developed for Royale. 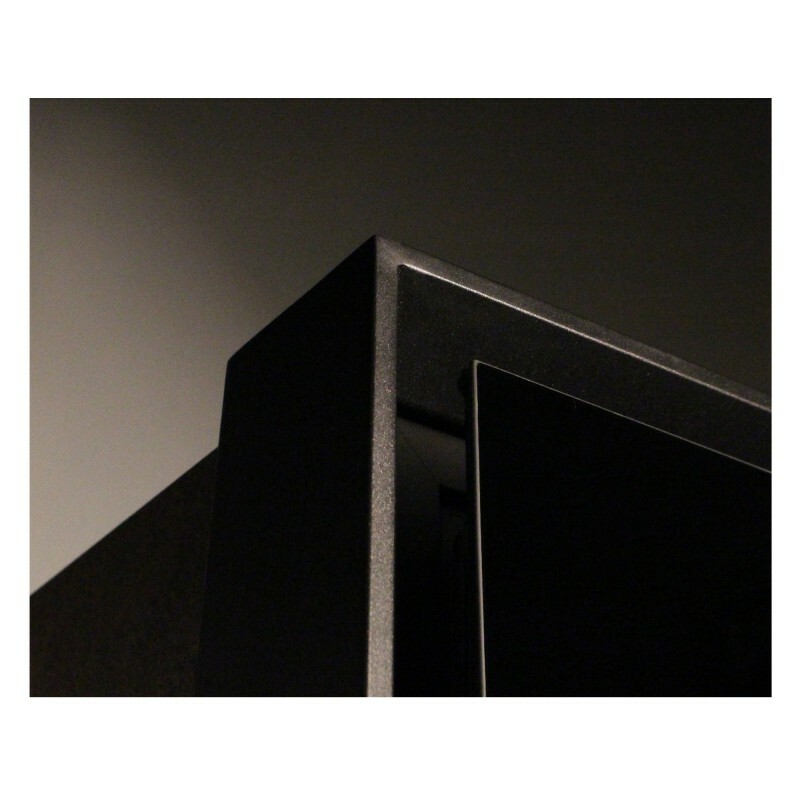 Vibration is absorbed thanks to the structure of the cabinet and the internal equipment. Outstanding protection from U.V. rays. 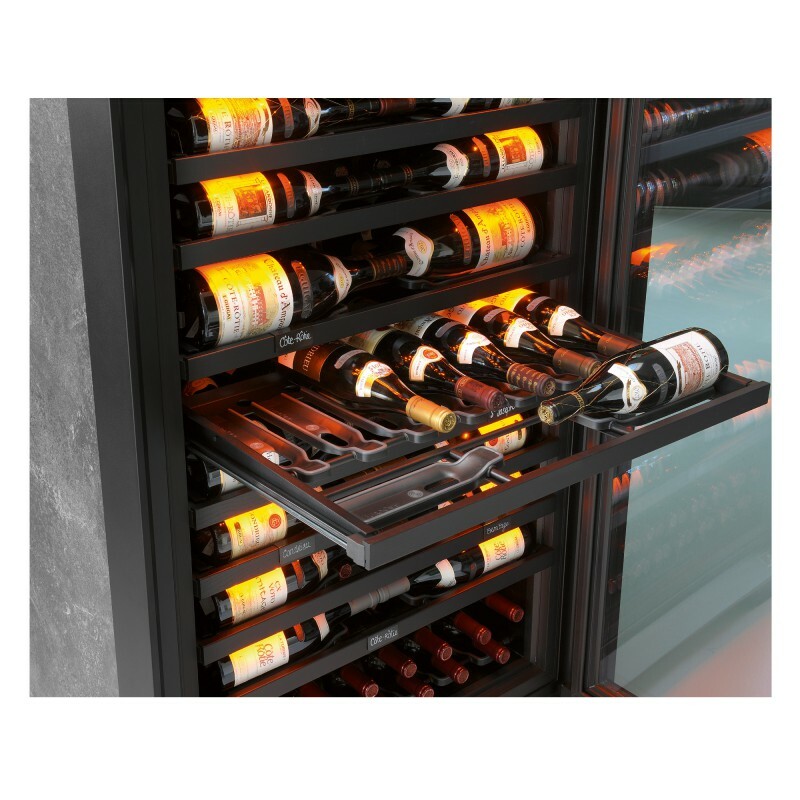 Innovative shelving, with Main du Sommelier bottle supports and two soft-close devices. 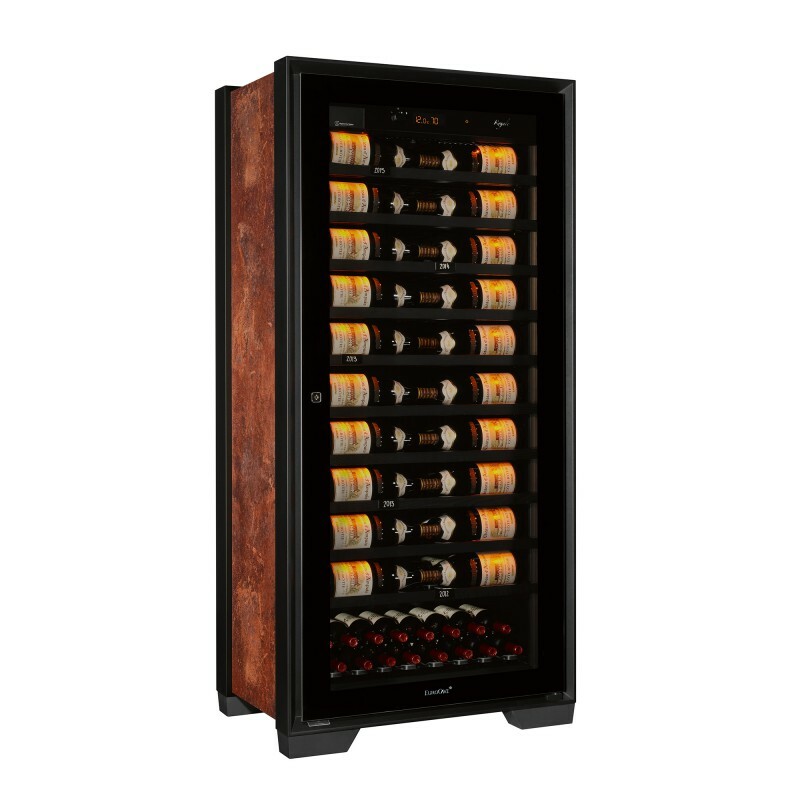 Capacity: 9 bottles per shelf. Amber lighting fitted on each shelf. 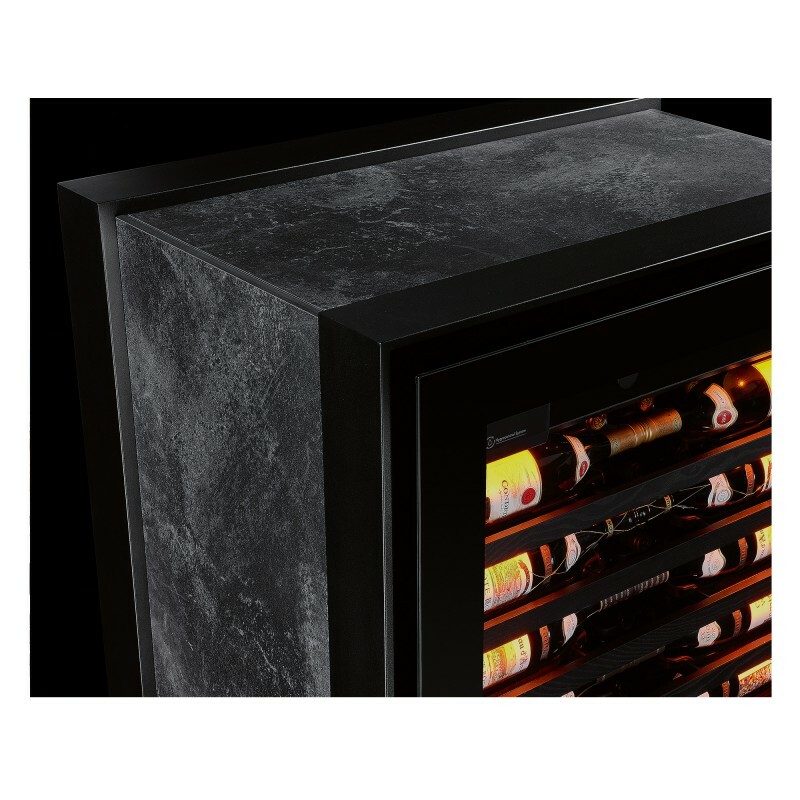 An aesthetic and functional back, specially designed to allow effective air circulation all around the cabinet. 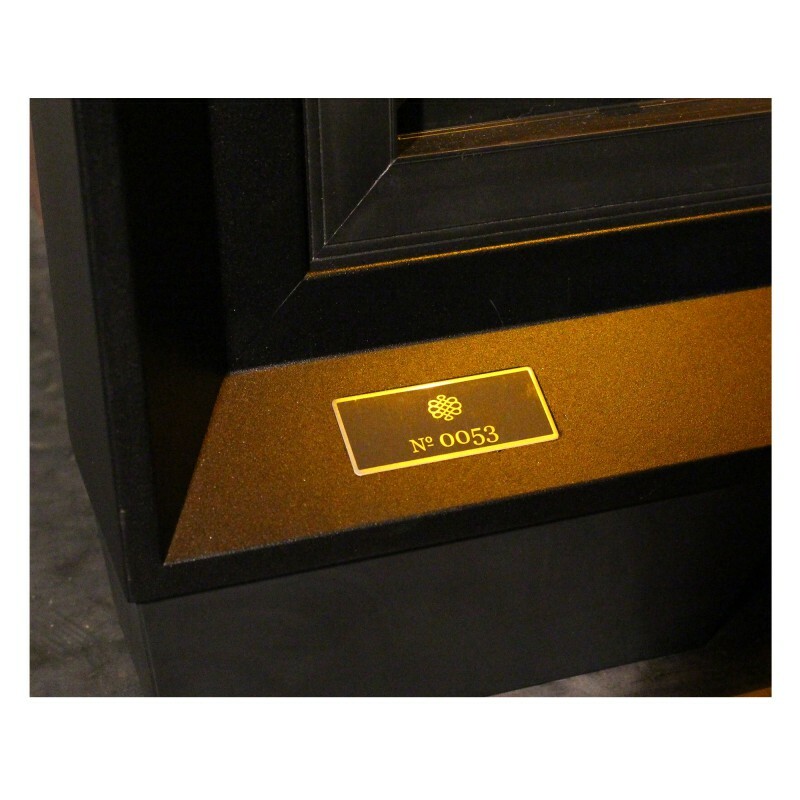 Each cabinet is identified by a number. 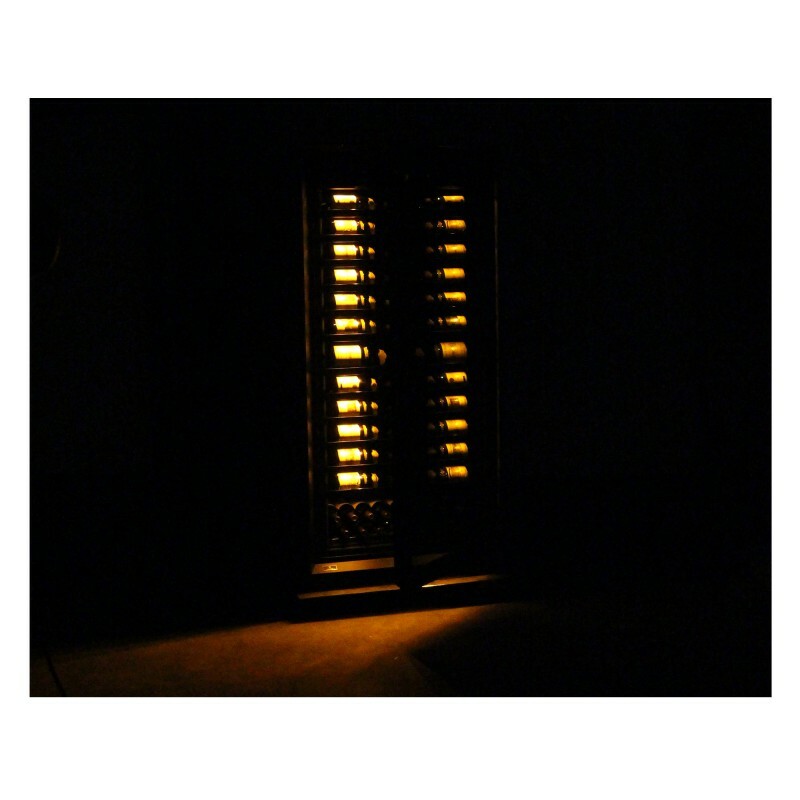 The chosen location of your cabinet must be open to the outside in order to ensure sufficient air circulation (not in an enclosed cupboard...), not too damp (linen room, laundry room, bathroom...), have a flat stable floor and it must have an electricity supply (standard socket, 16 A, earthed with circuit breaker, 30 mA*). 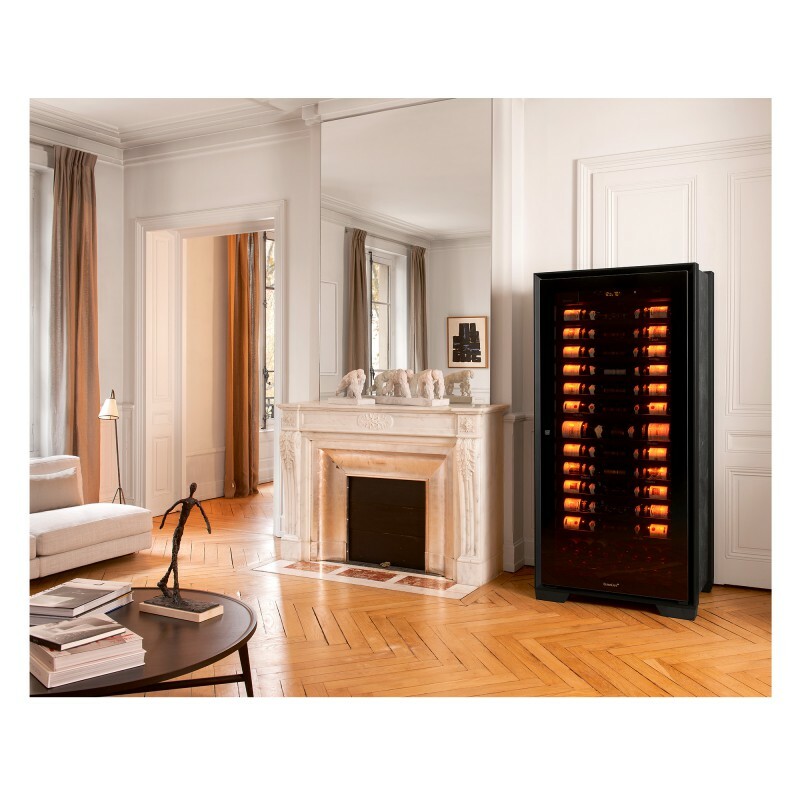 All wines mature at the same temperature, whether underground or in an electric wine cabinet. 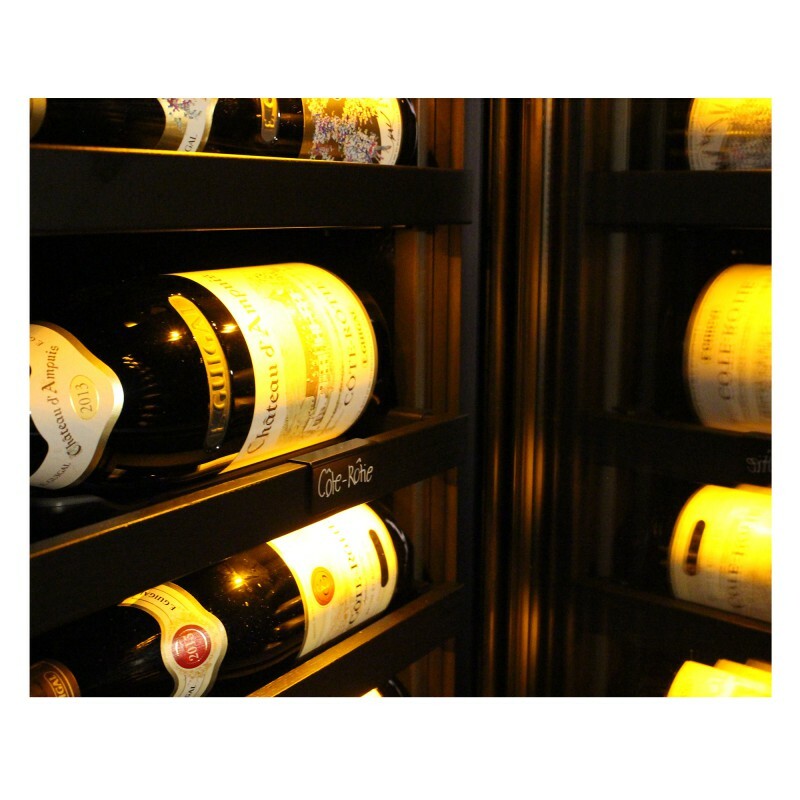 Type of interior lighting Mood lighting via 4 LEDs fitted beneath each shelf and bottles lit by 2 LEDs beneath the control panel. Light intensity adjustable on 3 levels.